D.D. Sonara has more than 40 years of experience in Training and Human Resources (HR). 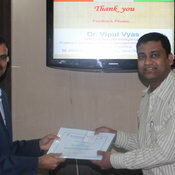 He completed his Post Graduate studies in Human Resource Development (HRD). 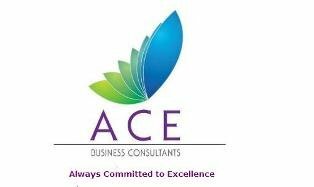 He has been associated with reputed large organizations including L&T Ltd., Essar Steel Ltd., Tecnimont ICB Pvt. Ltd. (Shell Group), and JB Diamonds. He has served various roles across organizations including ‘Head - Human Resources’ as well as ‘Management Representative (MR) for ISO 9001’. N. Peri Sastry is an XLRI alumnus (1971). 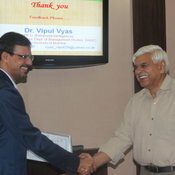 He brings more than 35 years of rich experience in Training and Human Resources Development (HRD). He has been associated with organizations including Bank of Baroda, Philips India, Tata Exports Ltd., Khimji Ramdas (Muscat), Hoechst Schering AgreEvo Ltd., and Hoechst India Ltd. His last stint was with Gujarat Ambuja Cements Ltd. as ‘Head - Human Resources Development (HRD)’. 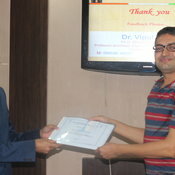 Nikhil Bhojwani is an MBA in Human Resources. He has completed Diploma in Training & Development (ISTD) as well as Diploma in LL&LW. 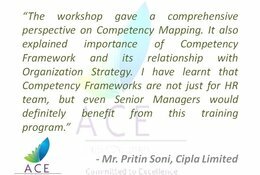 He is also Certified for Competency Mapping (CCM). 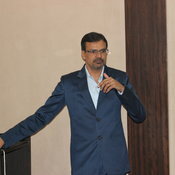 In addition to consulting experience, he has prior experience with reputed organizations such as Angel Broking, Kangaroo Kids Education Limited, Future Generali Life Insurance Limited (Future Group), IMRB International (WPP Group), and Bombay Dyeing (Wadia Group). He has also conducted training programs including Communication Skills, Competency Based Interviewing Skills, etc. 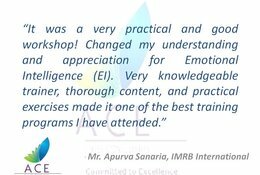 He is passionate about helping organizations through Training & Organization Development (OD) interventions. Amit Jain has completed his MBA from IIM-Ahmedabad. He has prior experience with Paternoster India Pvt. Ltd, ICICI Prudential Limited, and various leading Business Schools in India. He is a thorough professional and his competencies include Product Development & Innovation, Process Management & Transition, Business & Data Analytics, Project Management, Business Operations, Team Management and MIS Reporting. His drive for excellence is reflected in every task he undertakes. Alpa Ganatra completed her graduation in Law and Management Studies. She has been associated with many non-profit organisations. Her competence areas include gender sensitivity training, assertiveness traininng, leadership training, and diversity management in organizations. She has also authored many books and papers. She is passionate about empowering women and enabling educational organizations to offer more effective programs. 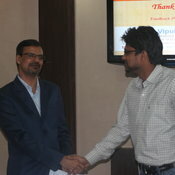 Deepak Kanjariya completed his graduation in Commerce before joining MBA. 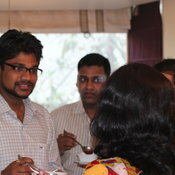 He is keen to contribute towards improving the financial strategies of client organizations. His areas of interest include Finance for Non-Finance Professionals, Working Capital Management, Cost Management as well as Management Accounting. His diligence and perseverance ensure superior quality in whatever he does. Kamala Sonara completed her graduation in Psychology and Education. She has more than 25 years of rich experience in education sector. She has been associated with Air Force Unit School. Her competence areas include teacher training, counseling, child psychology and development, management of educational institutions, and innovative approaches to holistic development. 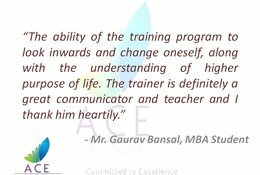 Abhishek Bhatara has been associated with Design and Implementation of various Training interventions. He is enthusiasm personified and is always willing to try different approaches. 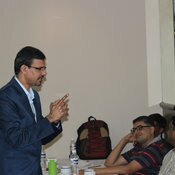 This willingness helps him come up with best fit solutions for organizational challenges.